Children in foster care do not always have everything they need when school starts again in the fall. The social impacts of feeling different and then not having the basic school supplies like the other kids can cause setbacks to children’s learning and development. 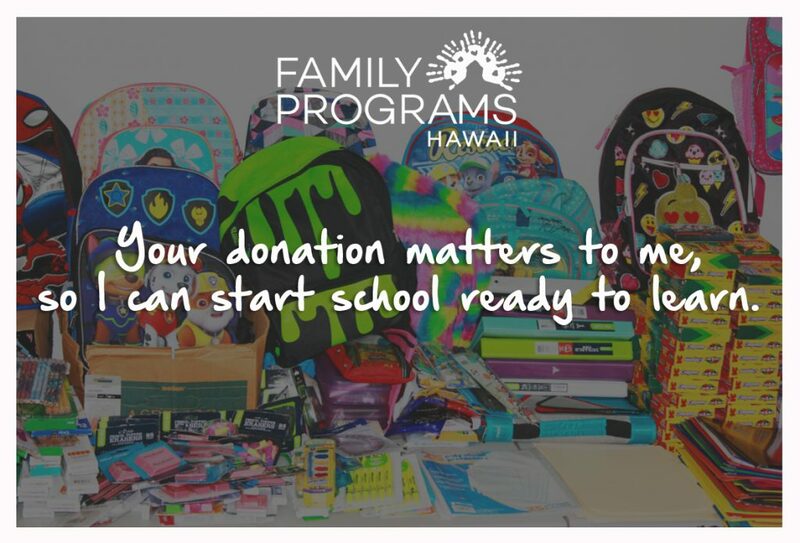 Family Programs Hawaii has been working with the community to acquire donations of school supplies for children in foster care for many years. Some of the donors include businesses, nonprofits, moms, dads, kids helping kids, and ordinary people who become an everyday hero to a child in Hawaii. Colorful backpacks, binders, crayons, folders, and other supplies donated by the community to children in foster care in Hawaii. The community has answered and provided backpacks and school supplies, but we are still short of our goal. 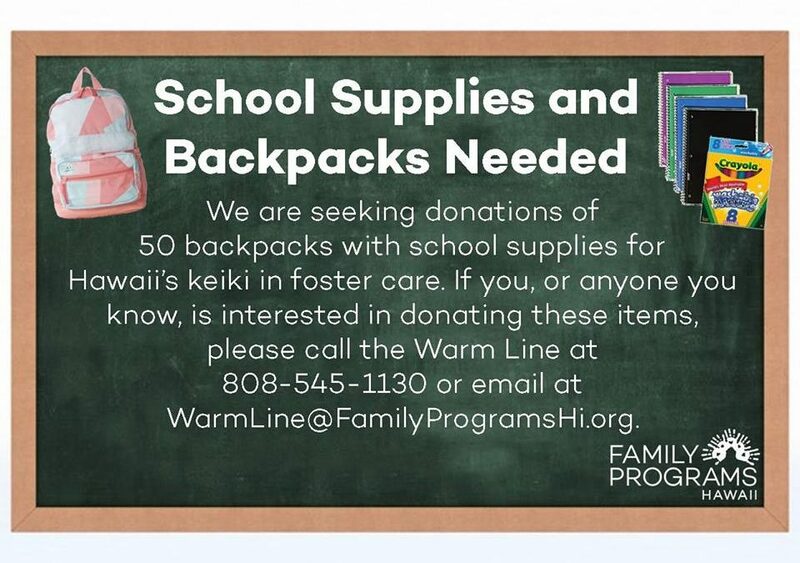 To become an everyday hero to a child in foster care, please make a donation of school supply items by calling (808) 545-1130 or email warmline@familyprogramshawaii.org.